Giant Bermuda NK-37 grass is a warm season, introduced, perennial grass used primarily for grazing and hay production. Giant Bermuda NK-37 looks very similar to Coastal Bermuda; however, Giant Bermuda produces seed and can be planted from seed. Coastal Bermuda does NOT produce viable seed and has to be sprigged (vegetative variety). 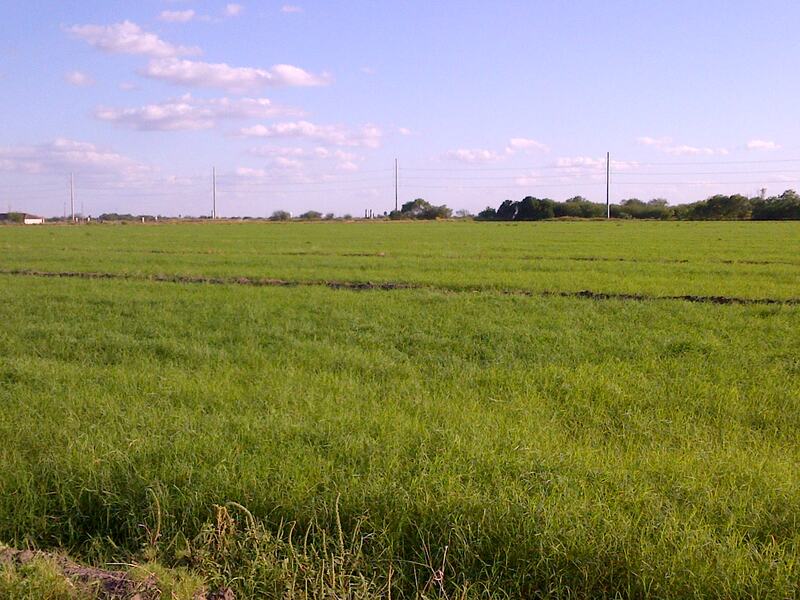 Giant Bermuda grass is a high quality grass excellent for horses and all other livestock. 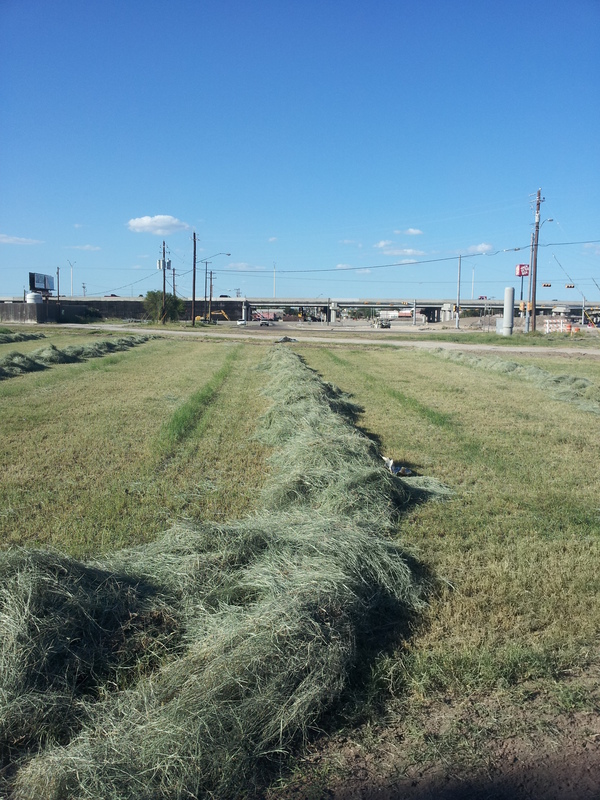 Giant Bermuda NK-37 grass is a tall and thick pasture Bermuda grass that can produce 100 square bales per cut per acre. It can produce as many as 7 cuts per year under irrigation and fertilization (results will vary on climate, soil, watering, fertilizing and location). 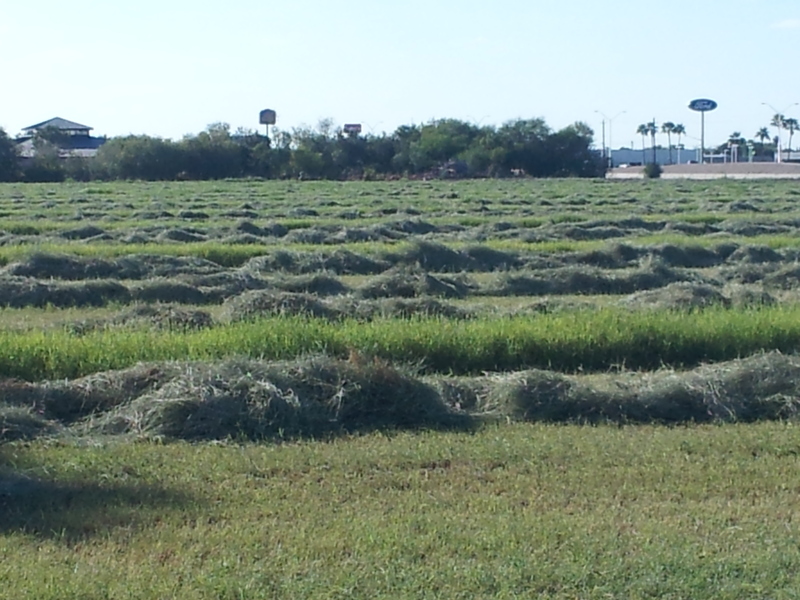 The hay production during the months with more hours of sunlight is higher than the winter months. 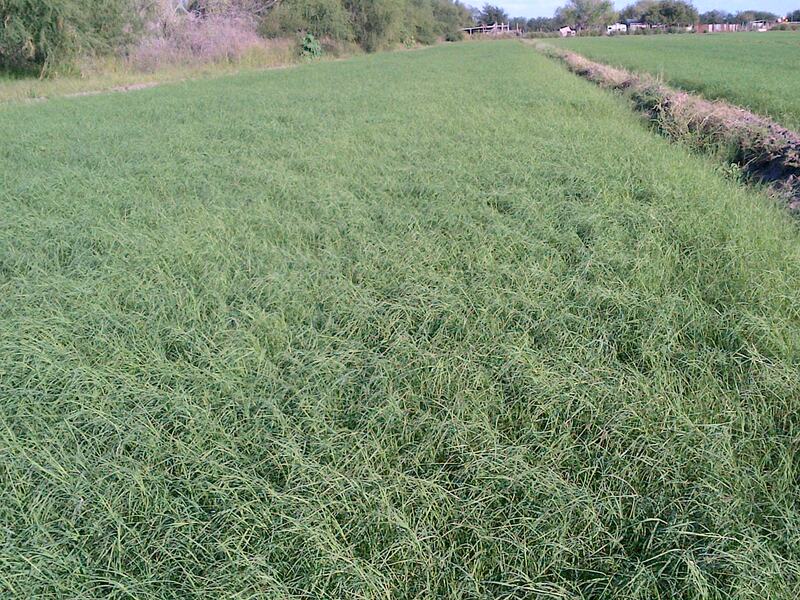 However, Giant Bermuda NK-37 can still produce during the winter months in South Texas with fertilizer and water management. Please photo above (Gutierrez Farms). This photo was taken in late December. 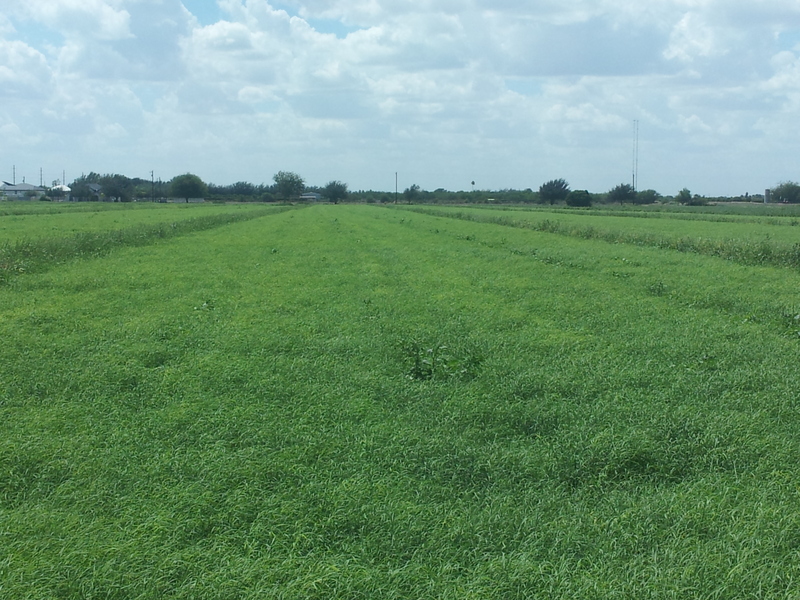 Giant Bermuda NK-37 grass is an excellent grazing and hay producer on non-irrigated fields but the yields will be lower than irrigated fields and dependent on rainfall. 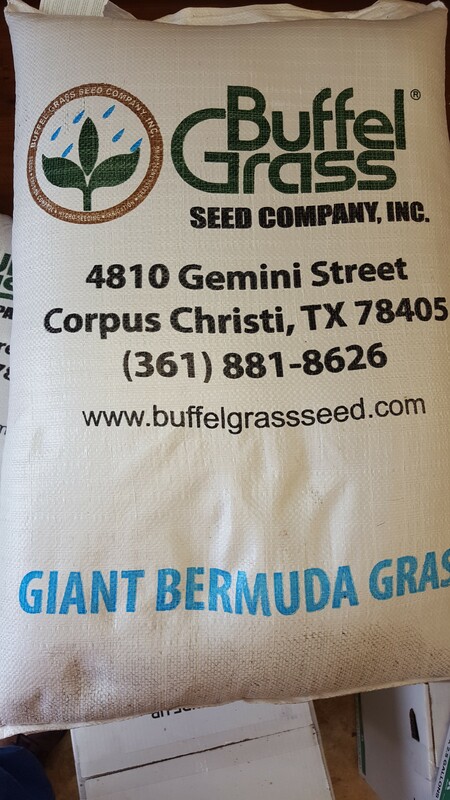 Our Giant Bermuda NK-37 seed is sold only as raw seed which means it has a 98% pure seed or higher unlike coated grass seeds which only contain about 48% pure seed. Raw seed contains double the number of seeds per pound compared to that of coated seeds (the Pure Live Seed % is double).